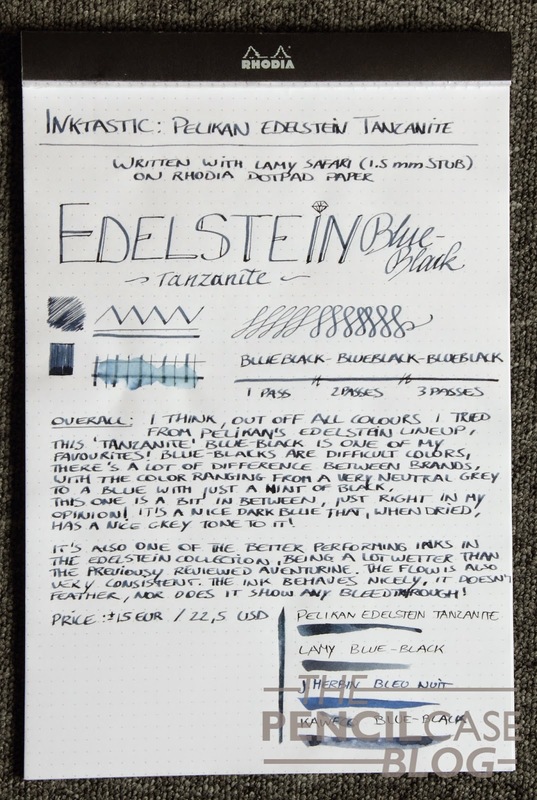 Out of all colors from Pelikan's Edelstein ink lineup I've tried so far, this blue-black Tanzanite is definitely one of my favourites! 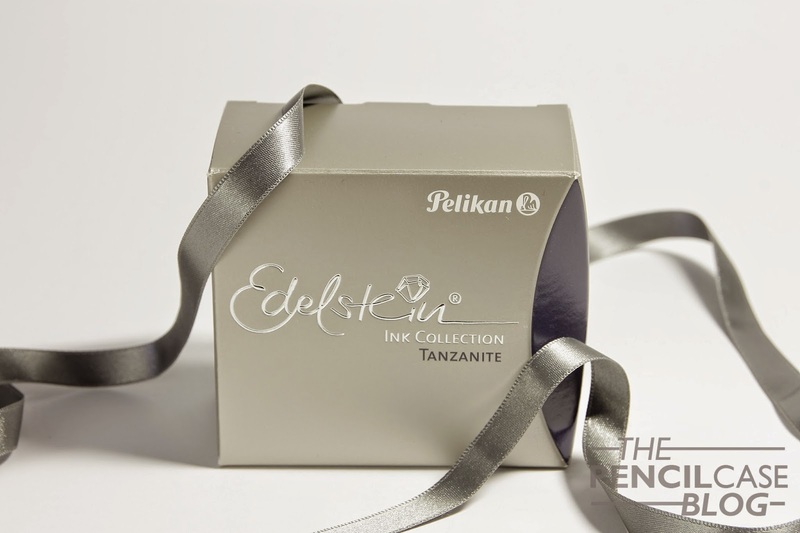 Blue-black is actually quite a difficult colour to get right, there's a lot of difference between different brands, with the colour ranging from a very neutral grey to a blue with just a hint of grey. This one is a bit in between, which is the sweet spot for me. It's a nice dark blue that, when dried, has a nice grey tone to it. Compared to other inks, it closely resembles Montblanc Midnight blue (of which I didn't include a swab in the written review) and Kaweco blue-black. When it comes to saturation, it's right in between the greyish Lamy Blue-black and the bright J.Herbin Bleu Nuit. 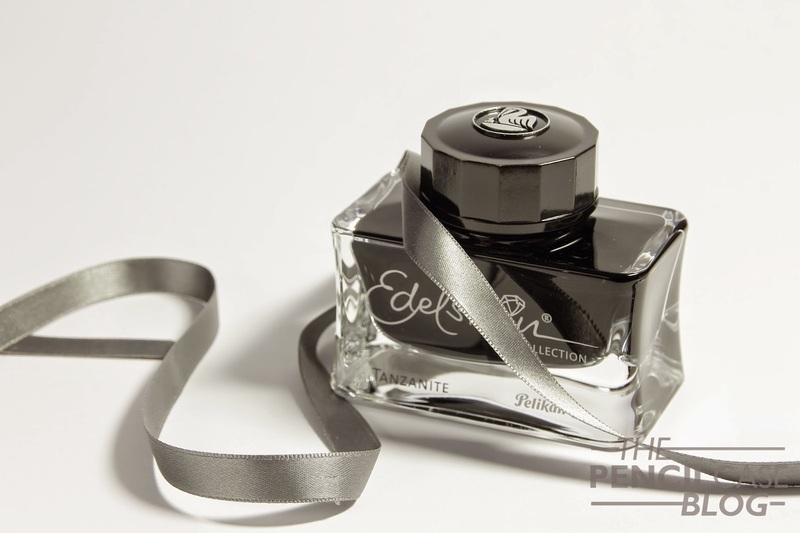 It's also one of the better performing inks in the Edelstein collection, being a lot wetter than the previously reviewed Aventurine. The flow is also very consistent. The ink behaves nicely, it doesn't feather, nor does it show any bleedthrough. 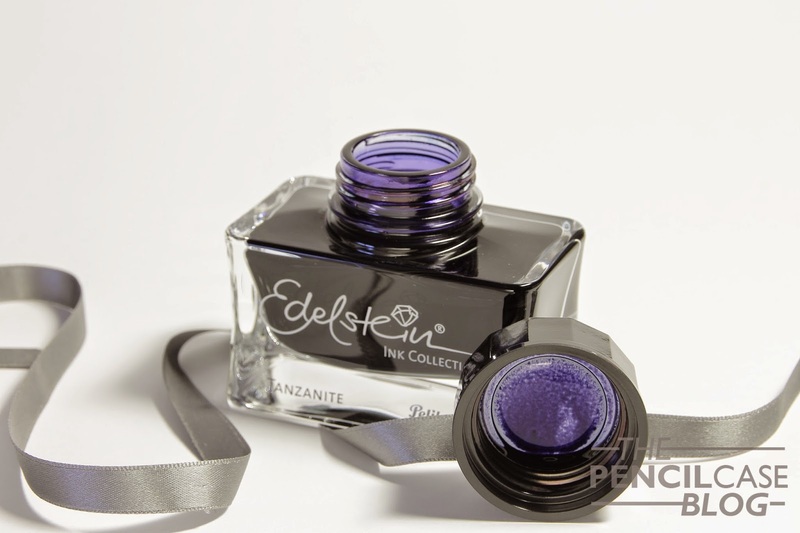 As always, edelstein inks are available for around 15 EUR / 22.5 USD for a bottle of 50ml.